Animated STAR TREK - "The Ambergris Element"
While exploring the planet Argo, Kirk and Spock are made into waterbreathers by an undersea race, and the venom of a deadly sea snake is the only antidote to return them to their normal selves. PSA epilogue for "The Ambergris Element"
This episode's author, Margaret Armen also wrote another animated STAR TREK episode "The Lorelei Signal". She also wrote script's for original STAR TREK episodes "The Gamesters of Triskelion", "The Paradise Syndrome" and "The Cloud Minders." There are pages in this site devoted to the Aquashuttle and the Scouter-gig that were featured prominently in this episode. The ever useful life support belts were seen again in this episode. Scotty went underwater without breathing aparatus using only a life support belt. 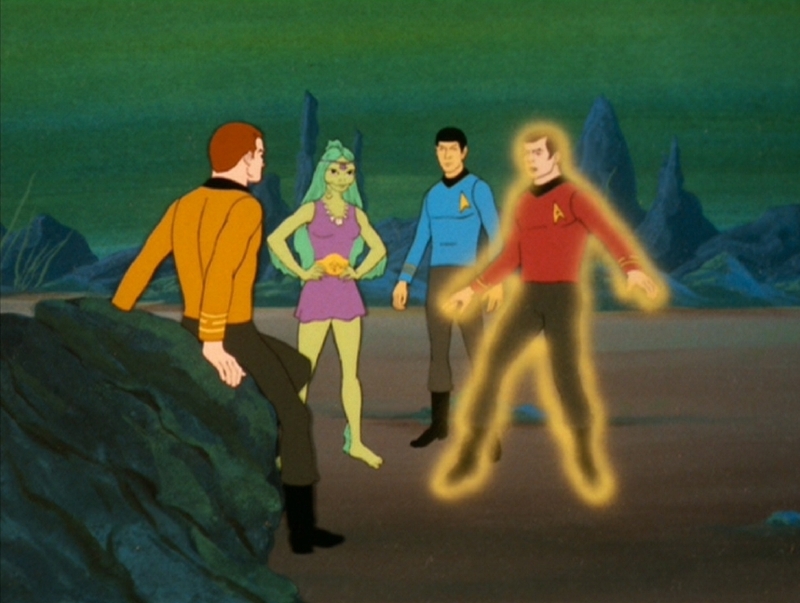 James Doohan did the voices of a whopping eight characters in this episode. The title of this episode refers to ambergris which is a waxy substance that is a secretion of whale intestines. Ambergris is used in the perfume industry. It helps perfumes retain their scent longer. This episode would have been virtually impossible to do in live action as written due to budgetary constraints. 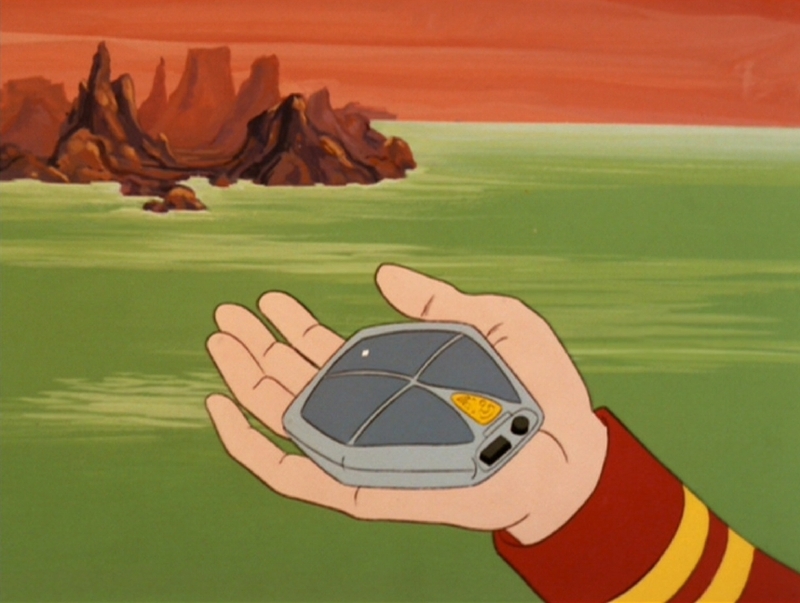 A new piece of Starfleet search party equipment was seen in this episode. The directional locator (pictured) was a small hand-held tracking device used to locate missing crewmembers by means of sophisticated sensor technology. As a window into the animation process, two pages from the 46 page storyboard for "The Ambergris Element" can be viewed: Page 24 and Page 27. 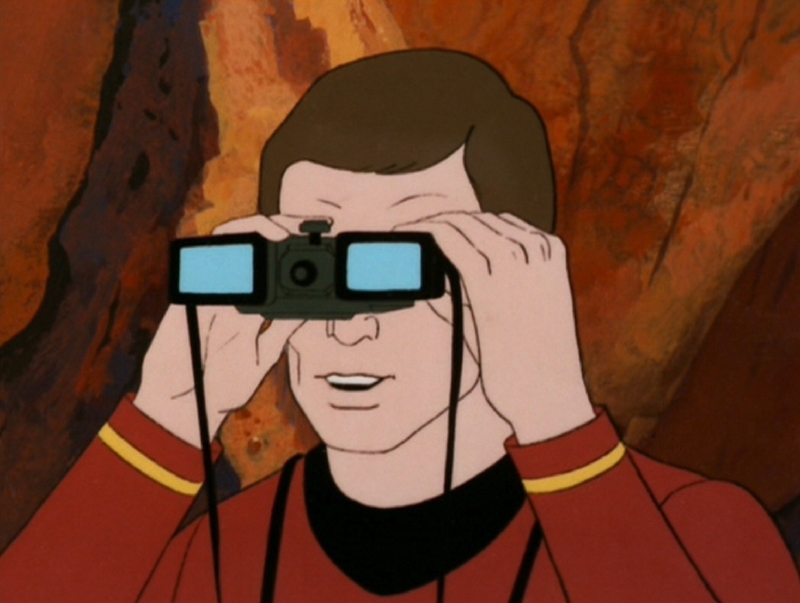 Another new piece of equipment was seen in this episode, the telefocals, which were high-tech binoculars used by Starfleet personnel while carrying out reconaissance and search party missions. Two different Limited Edition Collectors Cels inspired by this episode were once available from Tuttle Enterprises. The cels were number ST-9 and ST-15. 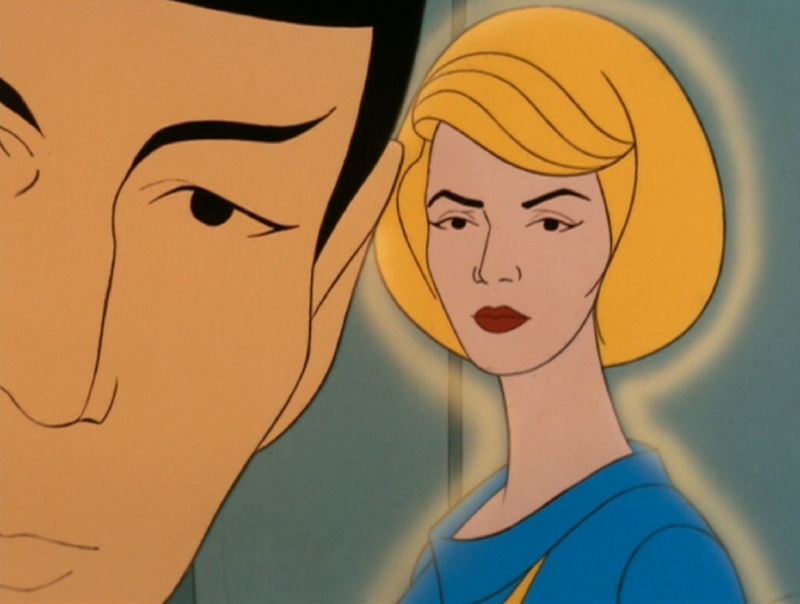 This episode marked the last appearance of Nurse Christine Chapel on the animated series. She only appeared in six of the 22 episodes and didn't appear at all in the second season. 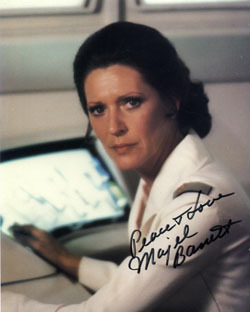 Six years later, Chapel would be seen again as a doctor aboard the Enterprise in STAR TREK: The Motion Picture in December 1979. "The Ambergris Element" was novelized by Alan Dean Foster in Star Trek Log Five published by Ballantine Books in August 1975. Also novelized in the book was "The Jihad" and "The Pirates of Orion".